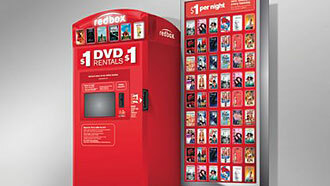 You can now find the nearest Redbox kiosk by text messaging “redbox” to the number 50101. You’ll then get a response asking for your zip code. Once you reply back you’ll get another message with the nearest Redbox location. To get another location, just reply back with the word “next” in your message. The service is called “Location Finder” and gives customers an easy way to rent and return discs. Last year, Redbox launched a free iPhone app which also provides locations. “With more than 24,000 locations and counting, finding the nearest Redbox location has never been easier,” said Gary Cohen, senior vice president, marketing and customer experience, Redbox. 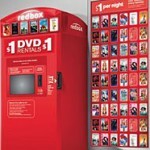 Redbox rents DVDs and Blu-ray Discs from over 24,000 kiosks nationwide. DVDs cost $1 to rent per 24 hours, while Blu-ray Disc rentals (which vary by location) cost $1.50.